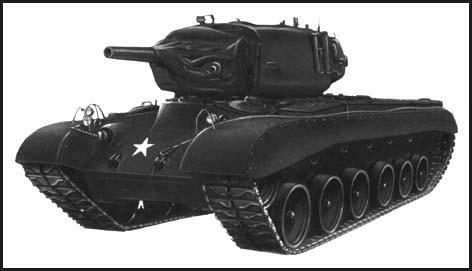 The Sherman Tank was the main tank used by the United States Army during the Second World War . It replacement, the Pershing M26 was delivered until January, 1945. It had a 90mm gun and its 500hp engine could achieve speeds of 30mph. The tank arrived too late to make much contribution to the war in Europe but it was used in Okinawa in the summer of 1945.